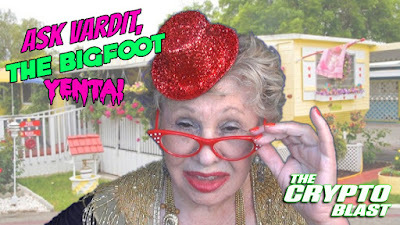 The Crypto Blast: What happened to Bigfoot icon Bob Gimlin at the 50th Anniversary of the PG film? The 50th Anniversary of the Patterson Gimlin film was a complete and utter disaster. Egos, money and pride showed their ugly faces at a once in a lifetime event put on by one time Bigfooter, Tom Yamarone. 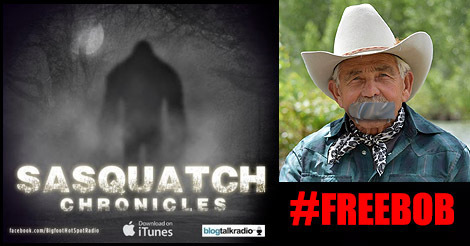 In fact Tom Yamarone was chanting "#freebob" and that did not sit to nicely with Bob Gimlin. So what happened? Why wasn't Bob allowed to speak? Why was an auction more important than letting this man speak to his fans? Bob Gimlin wasn't allowed or given the opportunity to speak. Instead an auction took place instead of Bob Gimlin saying a few words about the film. Venue organizers said they ran out of time. Really? That didn't stop Marc DeWerth from doing an auction where he gets 30% of the money. So what's the truth? These people: Marc DeWerth and Tom Yamarone have made a lot of money and enjoyed riding on Bob Gimlin's coat tails for far too long. The Ohio Bigfoot Conference, put on by DeWerth, depends on Bob Gimlin to gain large numbers in attendance. Have they put this man on a pedestal only to kick it out from underneath him... at this historic event of all places in Bigfoot history? Money comes first before respect. At the end of the day, they need to take one good look in the mirror and see what they have done. DeWerth claims the money from the auctions was to be a surprise gift for Bob Gimlin. Yet we were told all the money from ticket sales, auctions, and VIP dinner cover price was to go to Tom Yamarone's medical fund. There was no transparency and it was not made known to conference attendees where their money was going. Sound a little shady? We think so. Bob Gimlin was not paid like in the original agreement. 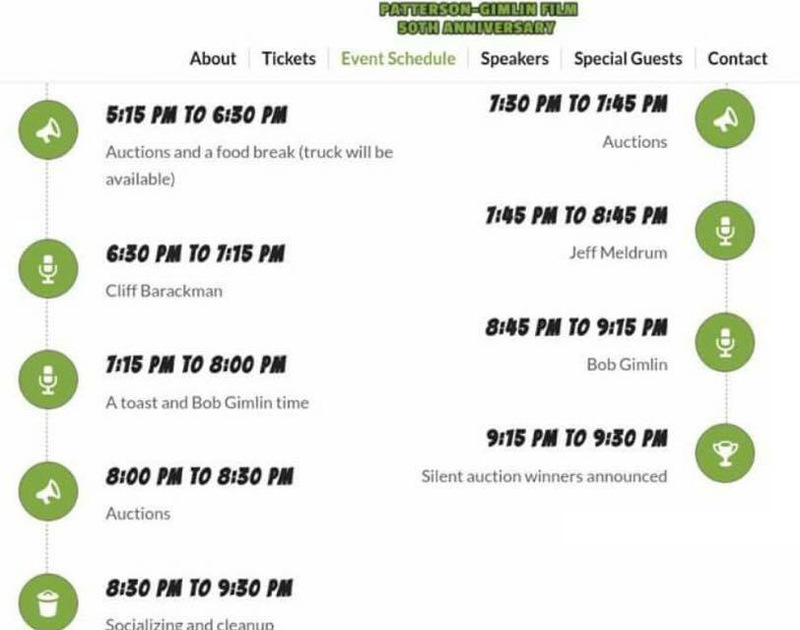 Yamarone was to pay Bob $500 and Russell Acord, Bob's manager, $400 for transportation expenses for bringing Bob to the event. Russell Acord told Yamarone "You give all that money to Bob." So that makes it $900 that was not given to Bob Gimlin. There are multiple lies being spread online by people trying desperately to save face. Lines are bring drawn. Who do you stand with? We here at the Crypto Blast stand with Bob Gimlin. Let's turn that horrible and disrespectful hashtag "#freebob" into something better. Like, "#IsupportBob". Watch the video below and decide for yourself. What a shame. 86, Geez Bob is doing well for being that age. Russ, it has been a pleasure watching you two together. You both should be proud of your friendship and what you offer each other. 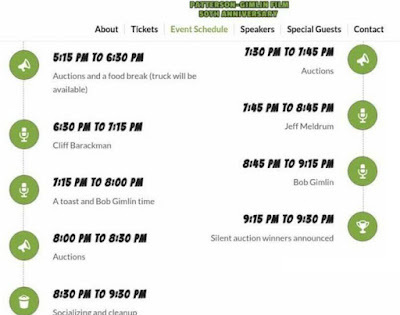 Sounds like Bob is deserving an apology from the organizers of the event. Looking forward to attending an event in the future where Bob is allowed to speak. I met Roger a short time after the event. Great experience! Looking forward to see the film project you are working on. Sounds like you need to come to the International Bigfoot Conference. I don't mean to talk for Bob but if given the time, he loves to sit and chat with anyone willing to visit. I know Bob personally from horse shows and he's good friends with my dad. Bob's a sweetheart of a guy. The conference is here in Kennewick, Washington over Labor Day weekend. Sounds like he needs much more than an apology! Searching for Sasquatch can get very political. This is absolutely TERRIBLE & an INSULT to Mr. Bob Gimlin!! I am Ashamed of those who took advantage of him!! Russell Acord is a decent man and I am glad he is helping Mr. Bob Gimlin. ✨GOD Bless you Mr.Bob Gimlin!! Bob- forget those people. Head to the Huckleberry unit and go hunting! In an ironic twist of fate, the "#freebob" tag line is being made into a t-shirt, with 100% of the profits going to Bob Gimlin, to help recover the money he wasn't paid. Check with Russ Accord for more details. How poetic! Maybe the #freebob hashtag really means Bob is free to take advantage of. I love Bob and have seen it over and over people using Bob for their own profit. He is such a good spirited guy and deserves better respect. I am glad to see Bob keep his spirits up and his sense of humor never waivers.